Best Satellite Phones for Emergency Responders? Satellite phones have come a long way since the first satellite phone call made 50 years ago by Fred Kappel. Being able to communicate in urgent situations is essential, especially when natural disasters such as hurricanes, fires, earthquakes, etc. occur. Satellite phones have played a vital role in the most recent hurricanes, hurricane Irma and hurricane Michael. Without any form of communication, it makes it extremely difficult to accomplish even the simplest of tasks. Nursing homes were left stranded with no way to call for help, emergency responders were unable to release food and crucial supplies due to lack of a way to communicate. A satellite phone should be apart of every emergency responders gear when heading out to ensure the safety of not only others but of themselves as well. 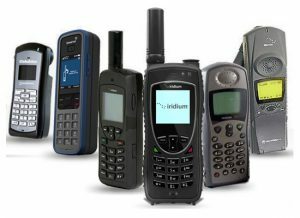 Let’s start off with the best of the best, Iridium satellite phones. Being the only truly global network, it’s no wonder why this is our number one pick. Leading the industry with coverage and reliability is has also become the military’s number one choice as well. The workhorse of all satellite phones! 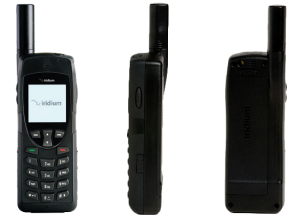 Among the most popular of Iridium phones is the 9575 Extreme. This phone has GPS integrated into the phone, is water resistant, has an SOS button for emergencies, and is able to make and receive calls and texts messages. This has become one of the top requested satellite phones for the emergency responders because it has the capabilities of sending out exact coordinated in an email, text, or to rescue services when needed. The Iridium 9575 extreme comes in as one the best phones but with a price tag to match, $1,345. Next in line is the Iridium 9555. The Iridium 9555 is the more economical choice. If you don’t need all the fancy add-ons that the Iridium 9575 extreme has and just need to talk and text, this is the phone for you. The price point is what makes this phone the most appealing of all coming in at only $1,095 makes this one of the cheaper phones offered by Iridium. Inmarsat comes in right behind Iridium with the longest battery life out currently available. Making this an essential phone for emergency responders. Inmarsat phones also offer excellent voice quality. The only downside to these phones is that it is not well suited for using data. Inmarsat satellite phones have coverage everywhere EXCEPT in the polar regions. Inmarsat comes in an easy second place with their IsatPhone pro. This being the more affordable option coming in at $595. 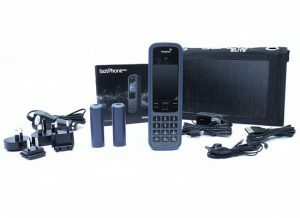 IsatPhone Pro is an Inmarsat designed and manufactured satellite phone, offering clear voice telephony, globally. It also comes with a variety of data capabilities, including SMS, short message emailing and GPS look-up-and-send, as well as supporting a data service of up to 20kbps. It’s one of the most robust handsets in the market and purpose-built for the most reliable, and award-winning, Inmarsat-4 network – the most sophisticated satellite communications network in the world. Globalstar antenna rotates and stows into the handset for convenience when not in use.